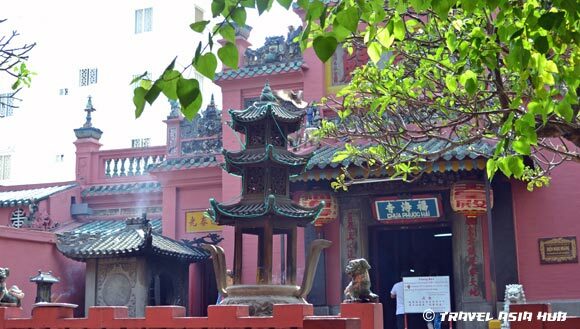 Ho Chi Minh City (Saigon) has a feast of things to do for the tourist and traveller. No matter what your tastes, there’s something for everyone in this exciting and energetic city. I spent four weeks there and here’s my 10 essential things to do in Ho Chi Minh City. The first thing that will strike any traveller when they arrive in Ho Chi Minh City is the amount of ‘motos’ (local term for a scooter) in the city. To get yourself orientated and to get into the local vibe, I’d recommend spending some time exploring the city on one. There’s a number of options for your two wheel adventure depending on your riding skills and bravery. The safest way it to take one of the many official tours that are available. 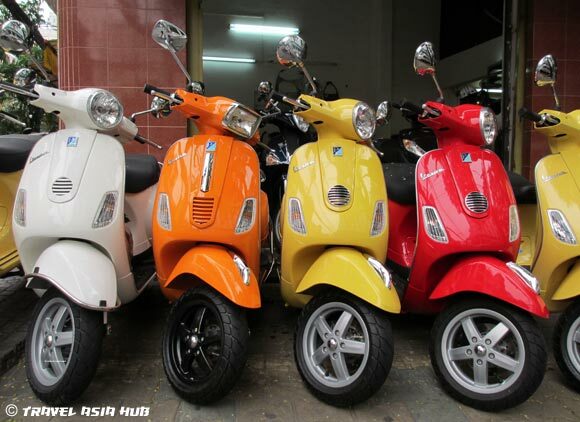 Scooter tours are popular and rank highly as the best things to do in Ho Chi Minh City. You can either book direct or with a travel agent or when you’re in the city. If you’d sooner go independent you can negotiate a day trip with one of the many moto taxi drivers. Or, if you don’t have the time or inclination to take a full tour, you can just take a moto taxi ride across District 1 . For the well accustomed motorbike rider and the brave, you can hire a scooter and ride yourself around Saigon. However you decide to travel, take a journey in rush hour to get the maximum impact of the Saigon moto experience. Food lovers are going to be in for a big treat in Saigon as it has every culinary delight that Vietnam has to offer. You don’t, however, need to go to an expensive restaurant to get delicious food. The streetfood in Ho Chi Minh City is excellent and worthy of more than just a nibble. You can find streetfood vendors in all parts of the city. It’s no surprise that many people think Vietnamese streetfood is the best in the world, and enjoying is one of the best things to do in Ho Chi Minh City. Vue Bien in the touristy, backpacker area is a good starting point. Take a stroll down the street and sample fantastic streetfood. I can personally recommend the seafood (crab, shellfish and more) which goes down a treat with a Saigon Green (local beer). If you want a more educational and local experience, take a recommended streetfood tour. In Vietnam you can’t escape the Vietnam War (called the American War locally and at tourist sites in Vietnam). Throughout Vietnam you’ll find relics and accounts of the war, and this is particularly prevalent in Ho Chi Minh City. If you want to understand the history of modern Vietnam, you must visit the War Remnants Museum. It brings to life the massive suffering and sacrifice that the Vietnamese people have undertaken to gain freedom from foreign rule. 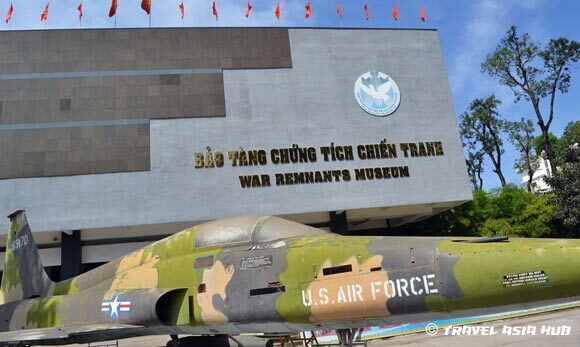 The War Remnants Museum has a range of themed areas from war photography, liberating Vietnam, the treatment of political prisoners under French rule, war crimes and the aftermath of Agent Orange. History buffs will be in their element (I certainly was), however, a word of caution some of what you see is very moving. Certainly, the section on the devastation caused by Agent Orange is not for the feint-hearted. Outside in the forecourt, here’s an excellent show of American miltiary hardware that never made it out of Vietnam. If there’s one museum you’re planning to see this is it. It’s a must see on your list of things to do in Ho Chi Minh City. For something a bit different, the Jade Emperor Pagoda is well worth a visit. As well as the beautiful building and grounds, you’ll also see locals making their prayers and offerings. Built by the Chinese community it’s the best temple of its kind in the city. If you’re an architecture fan, you’ll love the building and the ornate wood carvings inside. The temple features both Buddhist and Taoist deities and is dedicated to Jade, the supreme Taoist god. When you step inside the pagoda you’ll be instantly hit with the thick waft of incense and the thought provoking and grotesque figures guarding the temple. It’s a bit tricky to find, however, I’d definitely add it to your list of things to do in Ho Chi Minh City. The Reunification Palace is synonymous with the end of the Vietnam War and the fall of Saigon. The image of a North Vietnamese tank smashing through the complex walls, is one of the most famous images from the war. It’s based in large grounds and surrounded by parks, so it’s a welcome relief from the traffic on the streets. You’ll find some Soviet built tanks in the gardens and other relics from the war. The Reunification Palace is a unique and interesting building both from the outside and inside. For this reason alone it makes a visit worthy of my top things to do in Ho Chi Minh City. It was designed by an award winning, French trained, Vietnamese architect called Ngo Viet Thu. When you step inside you’ll think you’ve entered a time warp from the 1970s, and you’ll be right as everything has been left unchanged since it was taken in 1975 by the North Vietnamese. There’s some fantastic interior features in the rooms inside. 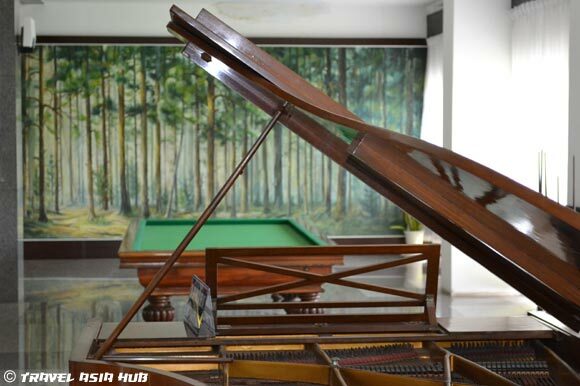 From grand pianos, to lavish oriental carpets, vintage Mercedes, exquisite meeting areas and art deco lounge rooms, the Reunification Palace is a great place for fans of design. You can also get onto the rooftop for some views across the city. If that’s not enough there’s a ghost like, US military helicopter on the top of the building. If you’re looking for something quirky this is one of the must see things to do in Ho Chi Minh City. Saigon is a great city at night with plenty of bars, karaoke joints and clubs to keep you entertained at night and through to the morning. There’s plenty on offer, whatever your budget and stamina levels. Bars are dotted all around District 1, with clusters around the backpacker area in Pham Ngu Lao, and around the area near the Opera House. Karaoke is big in Saigon so if you’re feeling bit more daring you can have a go at this. If you’re lucky you can go with some Saigon locals, who’ll be more than happy to see you sing in English or your native language. 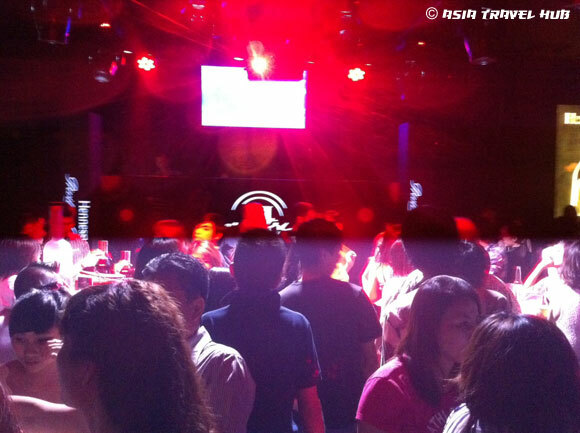 For those who’re looking for more lively things to do in Ho Chi Minh City there’s some fantastic nightclubs. One of my favourites is Apocalypse Now which is packed full with a party crowd of locals, expats, tourists and backpackers at weekends. Shopaholics and bargain hunters are going to love Saigon. From street markets to Western style department stores, the city is great for shopping. Diamond Plaza is for the well-heeled, and a familiar experience experience as you would get with any upmarket department store at home. There’s also Saigon Plaza a not so pricey department stall type shopping mall. Le Loi which runs through the centre of District 1 has something for everyone with a diverse range boutiques, designer brands, clothes, electronics and more. 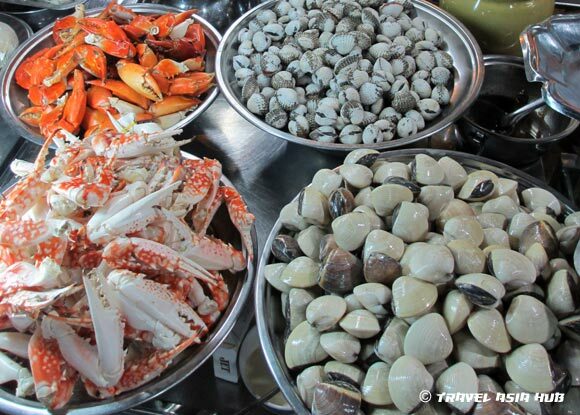 Ben Thanh is the classic tourist market where you can buy clothing and souvenirs, however, the eating there is better than the shopping. Ho Chi Minh City is a frenetic place but it’s easy to get away from it all by visiting one of the parks and green spaces in District 1. 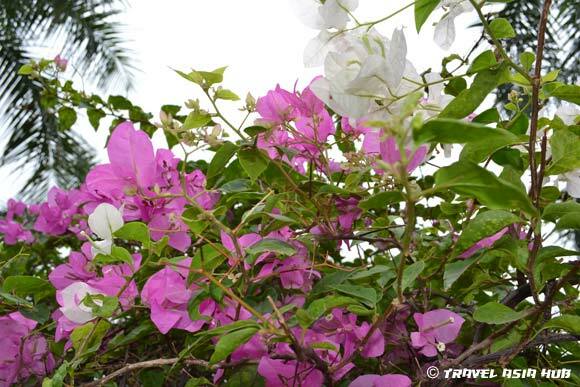 For those of you who are not big city lovers, these can provide a welcome break from the hustle and bustle of the streets. Whilst you’re relaxing there’s plenty of people watching and friendly faces to keep you entertained. You’ll even see live open air dance lessons, which are amusing to watch. No doubt you’ll be approached by local students who are looking to practice their English. If you have time give something back to the city and help them with their tourism surveys. I certainly had some fun with them when I spoke to them. Tao Dan Park is popular with locals and tourists and set amongst many of the cities sights. If you’re looking to do something more energetic you’ll find a swimming pool, tennis courts and other sports amenities there as well. I’m a big believer that one of the best ways to see a large city, and get some perspective, is to look down on it from above. Saigon is an expanding metropolis with diverse districts that stretch out far and wide. Ho Chi Minh City’s most renowned view of the cities skyline is from the Financial Tower Skydeck. Here you can get an excellent 360 degree view of Saigon. If you can’t stomach the $10 charge to go up the Skydeck, you can often find other ways to view the city from above. I was fortunate that one of my hotels had an excellent view from the 10th floor where they served breakfast. However you manage to do it, I’d definitely recommend this in a list of things to do in Ho Chi Minh City. This is the most popular day tour from Saigon and I’d highly recommend you add it to your list of things to do in Ho Chi Minh City. Many tours just visit Cu Chi, however, it’s well worth doing the combined tour and visit the Cao Dai Temple as well. On our tour we visited the Cao Dai Temple first and arrived in time to see the midday worship. The whole experience is truly unique from the religion itself, to the beautiful and colourful interior of the temple. In fact, the temple you visit in Tay Ninh is the birthplace of the Cao Dai religion which was started in 1926. 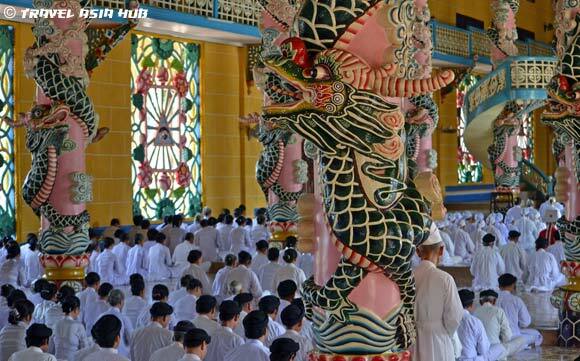 When you attend the ceremony it leaves you thinking what is the most strangest sight, the Cao Dai worshippers themselves, or the tourists crammed into the viewing areas to see them. 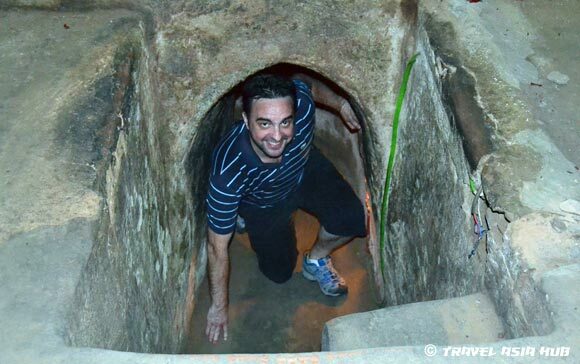 After lunch you’ll visit the famous Cu Chi Tunnels which was a key battleground for the North Vietnamese which linked the Ho Chi Minh Trail to Saigon. In all of the wars, neither the French or Americans were able to take the area. If there’s anywhere that epitomises the strength and resolve of the Vietnamese people, you’ll find it in abundance at Cu Chi. At the beginning of the visit you’ll see a short film about the people of Cu Chi and the tunnels. Later on you’ll get to crawl in a tunnel to give you some idea of what it was like for the freedom fighters who fought there. You’ll also see the rudimentary ‘man traps’ that the people of Cu Chi built to protect the tunnel area. These were often built just from bamboo and not something you’d want to walk over. There’s also other relics from the war at Cu Chi such as weapons, bombs and an American tank. 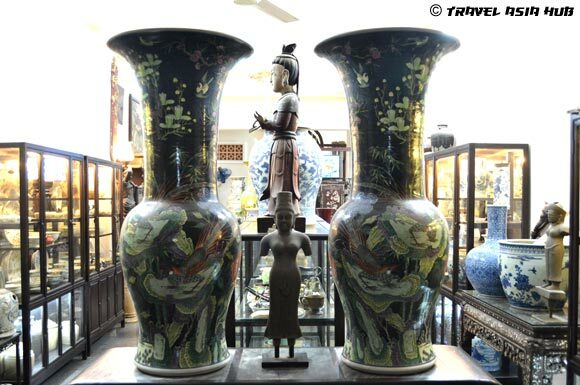 What’s on your list of things to do in Ho Chi Minh City? 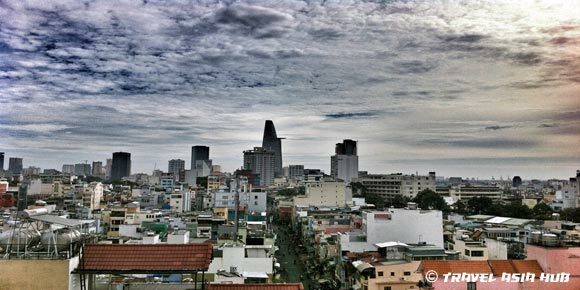 I’d be interested to know your recommended things to do in Ho Chi Minh City. Did they make this list? Chris King is a travel writer, publisher and digital business consultant spending his time as a digital nomad in Asia and London, UK. You can hook up with Chris on Google+ and Twitter. Great article Chris. I have not been to Vietnam yet, but hopefully will one day. Some great ideas on what to do when in Ho Chi Ming City if I get there. Thanks for your kind comments. I’m looking forward to seeing more of Vietnam. Highly recommend visiting Saigon whilst you’re in the country. When I get back there I’m going to head to Chinatown and visit the temples. The city has such a great energy and lots of diverse things to do.